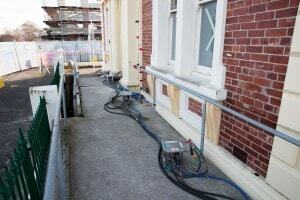 Mainmark has delivered successful results to hundreds of heritage buildings requiring earthquake remediation. Our methods are a great solution, for many reasons, not least of all as raising, re-levelling and re-supporting the building gives it a new lease of life, allowing an historical structure to stand strong into the future. A significant benefit of Mainmark’s foundation repair methods is that they are non-invasive, meaning the already fragile heritage building will not suffer further damage during the process. As the building and its floors are brought back to level, any internal and external cracks generally close up. Most importantly, structural damage is resolved, and with a stable foundation the future of the building is sound. 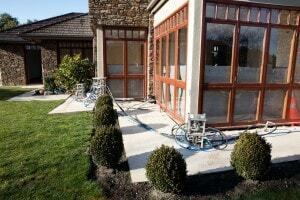 Our methods are effective on buildings of any size, also delivering successful results on driveways and paths. Where necessary, we also utilise technologies that strengthen the ground, so the building is not simply brought back to level, it is given a solid base and strong future.